- some tiny bugs has been fixed! Every day get inspired by beautiful, museum-like art masterpiece and read story it hides. 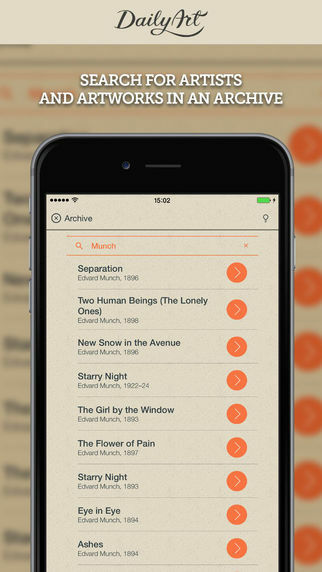 Explore over 1000 masterpieces in the Archive, add them to your favorites, search for artists and paintings. Use it on your iPad and iPhone. 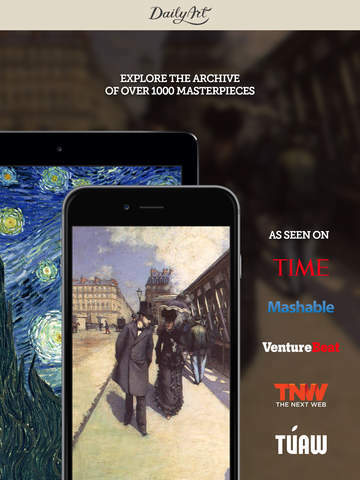 According to Time Magazine, VentureBeat and Mashable, DailyArt is a must-have app for all art lovers. Do you want to know why van Gogh cut off his ear? Or who is the lady on Picasso's portrait? How Jackson Pollock created his paintings? Open DailyArt and find out. 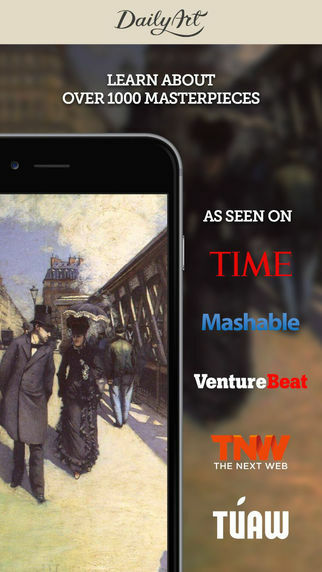 - “DailyArt is your daily dose of classic paintings, serving up a proverbial shot of espresso to awaken the inner culture vulture in you (...) One of the best 12 educational apps of 2012" - Paul Sawers, The Next Web. Learn something new about art every day - you just need two minutes. 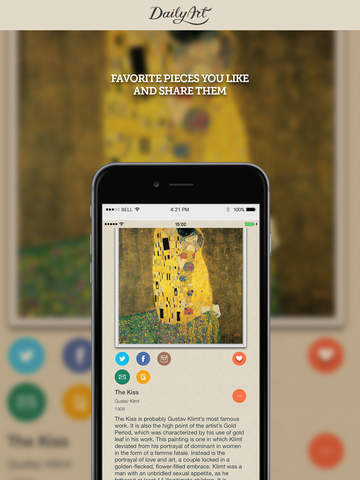 Download your espresso shot of art, for free - with no ads, just pure art.